This oval single hook is perfect for use in the bathroom or bedroom to hang everything from towels to coats and so much more. Easily wall mountable, a practical storage solution for a number of items and would fit in well suspended in the hall way or utility room. A distressed flaked paint finish to the cream paint, creating a look of age that would complement any shabby chic or french decor. 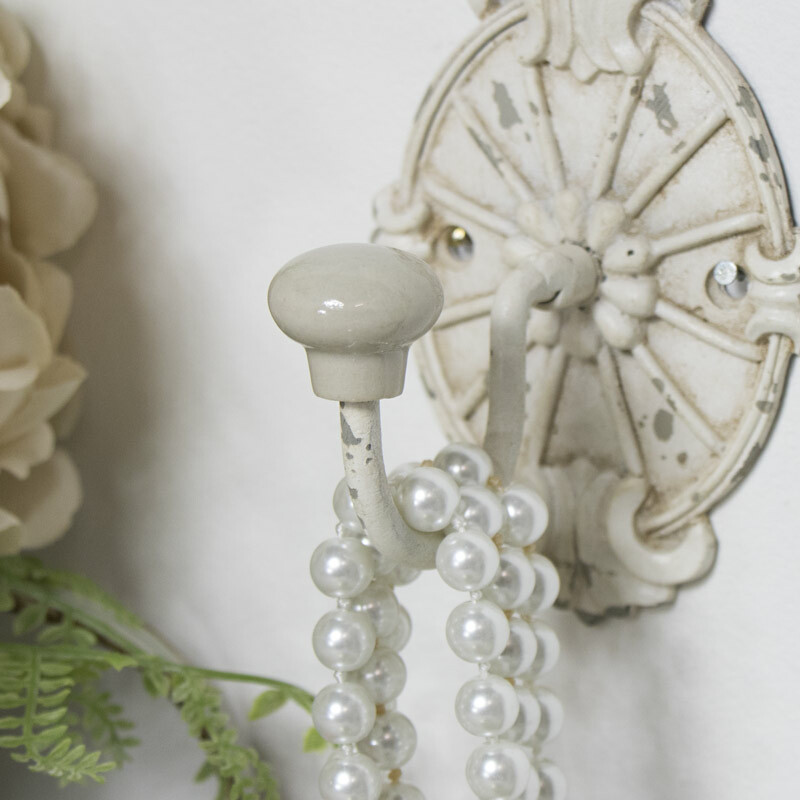 This oval single hook is perfect for use in the bathroom or bedroom to hang everything from towels to coats and so much more. Easily wall mountable, a practical storage solution for a number of items and would fit in well suspended in the hall way or utility room. A distressed flaked paint finish to the cream paint, creating a look of age that would complement any shabby chic or french decor. Wall mountable with two holes in the body for wall fixings which are not included. 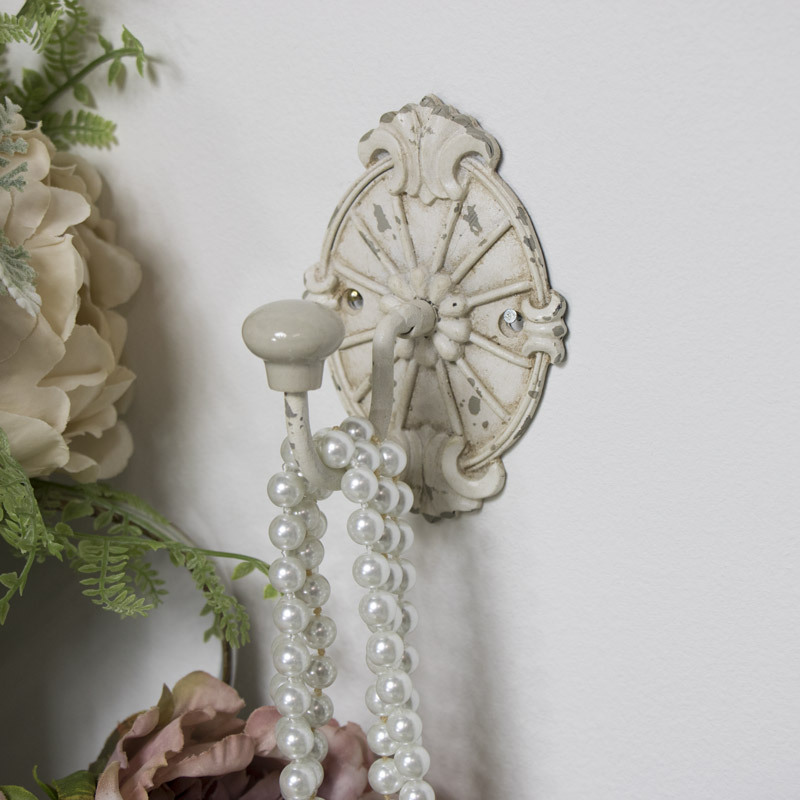 Optimise the practicality of this hook by placing a few together, giving a great place for guests to hang their belongings.